White chocolate & coconut truffles! 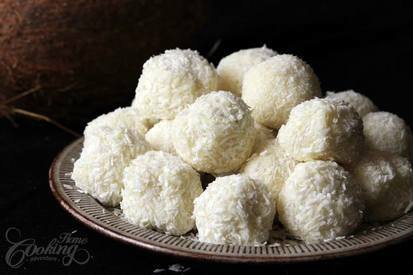 For everybody out here who love coconut here they come - Coconut truffles, so smooth, delicious, melt in your mouth dessert with coconut coating. They are easy to make at home. You don't need many ingredients, the basic are cream, coconut and chocolate and the rest depends on your preferences like, vanilla, orange peel and hazelnuts.